How do you increase your sales? Have you ever thought that your brand can be at par with big players in the business? There is no difference between small brands or large brands. The key is to understand the actual metrics of your business. The goal is to be profitable. What’s your gross profit as a company? 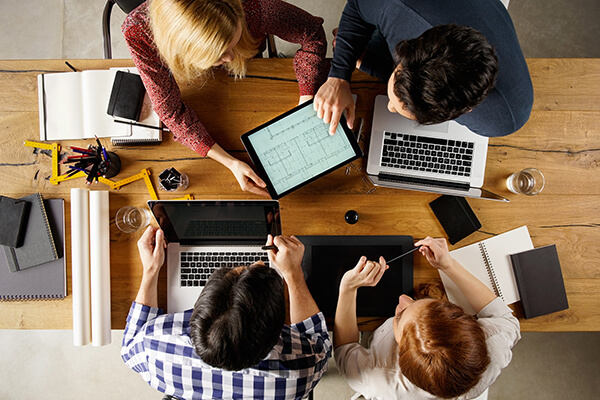 How do you make sure that the product market fit is right? 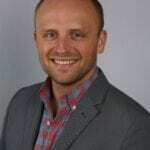 Jason Magee, Director of Seller Partnerships at Teikametrics, is obsessed with helping entrepreneurs scale successfully on Amazon. Jason talks about building an ecosystem of best-in-class partners to help people as well as to bring people in. I have got a cool interview for you. I’ve got Jason Magee from Teikametrics. If you haven’t heard about Teikametrics, we’re going to get a whole earful in this episode. A lot of you keep expressing to me that you’re doing stuff on Amazon, you’re using all this data, you’re doing ads and you have no understanding of like, “Is it good? Am I doing well? When should I change it out?” They’ve got tons of metrics built in here and this is big data use. You know how I love about AI, big data. There’s a lot of science here so we’re going to get into a lot of cool, interesting technology in details. The whole point of this is to help brands scale. That’s what we want for you. We want you to grow. You’ve got great products. That’s what we’ve been working on and now we want it to scale. I’m bringing on Jason Magee. He’s the Director of Seller Partnership. He is obsessed with helping you scale successfully on Amazon. That’s what he’s doing. He’s working in building an ecosystem of best in class partners to help you as well to bring people in. I am excited to have him here and have us get to pick his brain together. Jason, thanks for joining us. Tracy, thank you so much. I appreciate the intro and I love the enthusiasm. You’re matching me on the enthusiasm perspective. That’s the whole complimentary aspect of it. I remember when you and I first chatted and I reached out to you and it was light bulbs. I was like, “Tracy, you’ve got to do this. What do you do about that?” We were throwing ideas back and forth. This is a hot topic. Amazon in and of itself is. It’s massive shift. Everybody wants to not only grow a brand properly, they want to add new products, which is why you’re in business. On the advertising side, it’s a pay to play marketplace. You need to advertise in order to be found. You and I, we’re two different stepping stones to help brand scale properly. It makes logical sense that we talk and dive in. I want to get to know you better and I want everyone else to get to know you too. Before we get into that, you’ve hit on something you said pay to play marketplace. The thing is that for quite a while here, we were lucky that Amazon was not the full pay to play marketplace because retail has always been pay to play. It’s always been how much will you pay for your shelf space? Will you clear out the previous product that was there and help make the retailer whole? There was always a pay to play aspect. I was going to be in the flyer that goes out every week in the weekly. There was always that aspect before and then digital marketing comes in and Amazon was trying to grow their platform and they weren’t dialing in on that. It’s changed now and bigger brands are coming in and it’s getting more competitive. Now, it is what it used to be in retail before. There are a few things. One, I’m an eternal optimist. I’ll talk about the bright side of that. We are in Amazon and we’re a good partner of theirs. They’re probably going to not like me for saying this, but Amazon advertising is where Google was fifteen, twenty years ago. The difference though is when it comes to the scale that the internet gives you and that in and of itself straight, it’s a little bit different and more niche than getting an end cap, campaign for the end cap in traditional retail. I was reading a cool article in The Economist and the biggest resource is no longer oil, it’s data. It’s two things. You have access to data, but that’s the only half of it. You need an understanding and then action it. If you do it the right way and forget about us helping you or whatever. The folks who do it the right way, whether manually or automatically, they’re able to be in front of the end caps of the internet and make sure it’s in front of the folks that want to buy their solution, not just happened to be walking by. The whole idea about targeting is scary, but at the same time too as a consumer in a way, I want to make sure that things are in front of me that I want to buy. Advertising is a good way to do it. Whether we like it or not, it’s here. Have you ever been a seller before? I have. My previous role was a company called WorldFirst. I was running partnerships in North America for them. WorldFirst has provided local bank account solutions for sellers. I bring that up because I was trying to create an ecosystem. It’s like, “We help international sellers, but I need to understand every component of it.” I created and marketed and started my own freeze-dried, probiotic dog treats on Amazon. I went through the full process. I found a supplier. I want to stay in the US for the goods because it was freeze-dried chicken, for instance, and probiotic. I sourced my bags. I did the whole process. I’ve done end-to-end. When I talk about what we’re doing, I’ve done it. I’ve run ads before. I get it. The short answer is yes. 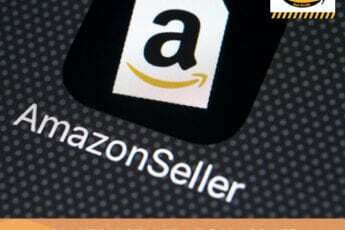 I always feel that that’s my shortcoming is that while I have had products that are selling on Amazon and some that are there now, I’ve never personally managed my own account on Amazon. I don’t have that in-depth knowledge, which is why I bring all of you experts in. That’s why I bring in Brenda Crimi, Jenna and Jeff Lieber. I have these people who come in and help us out because I don’t have that experience. I drop off after the first run of production and somebody has to pick it up from there. You have great deep knowledge of having done it hands-on and you know how difficult it is. That’s what many sellers are struggling with. It’s like, “Where am I on the scope of things?” This is what I found interesting about you at Teikametrics is that there is a way to play. You have what you call a Flywheel. It’s not too soon to be playing with the data. That’s what I see as a big difference is when we’re talking about the flyers and the end caps and doing all those things. When we were doing this in retail, we had no data to work on. At least you can calculate a true ROI. It’s black and white or as best as it can be. It’s definitely not like doing a radio ad where you can’t measure. You provide a lot more information and being in the Amazon world and having digital marketing, we have a lot more data than we used to. When we use to recommend products to go onto the flyer, it’s circular. That’s what they called it, the old Sunday circular, it was a big deal. You still didn’t know where are people going to respond to that? Is this a good ad? You had no way to test it out. No A/B testing, none of this stuff we could do. You do it. You pay all the money to be in it. It goes out and then sales boost. That’s all you know. Scaling: Understand your product level profitability and use that data to understand how you should be advertising as well. This is the thing, especially when we’re playing early on, we want to see returns quickly. There’s not a lot of time to get your launch out, to get things turning, to make these decisions and to know which ones to make. This is an astounding statistic. I’m going to have you talk about the whole Flywheel and all of that, but 34% improvement in revenue. You can achieve what you’ve achieved on average with your clients over the first 60 days of working with you. 34% is a big deal and it could be more, that’s your average. The other thing too is that statistic was from a cohort analysis of our clients, but that’s also at the same consistent A-cost level. The advertising cost of sale, meaning the dollars you’re willing to give up for advertising sale. That means we’re keeping those, but you’re spending more money necessarily because you’re returning more, but it’s profitable revenue growth. You’re not throwing money in it and getting the sales, which when you go on that higher as you put it A-cost. When you go in that higher sometimes then you’re overbidding it. The context of that to is those folks who are looking to like, “I like our A-cost where it’s at. Let’s ramp up our sales not just ad revenue but organic revenue. Some folks wanted this lower and their A-costs are making it more profitable. The one thing that’s important is people often lose sight within Amazon. Amazon touts A-cost, which is advertising cost of sale. The problem with that is that’s your ad spends versus how much you’re spending on your ad revenue. The whole point of advertising isn’t to increase ad revenue. It’s to increase your organic revenue. That is what we talked about with Flywheel. It’s like, “The things that you’re doing having a good product, sourcing it correctly, making sure that it’s something that people want and then you’ve advertised appropriately. All these small things that you’re doing or large things are helping you grow your brand and your total revenue, not just one specific component like ad revenue. You know what a Flywheel is especially you’ve been on Amazon because they’re famous for their Flywheel. I love that you tied the two things together because we might as well talk like our platform. For those who don’t know Teikametrics, we use Big Data to help sellers and brands optimize their business for profitability predominantly on Amazon. We center on a few things. Before we even look at advertising, which we’re good at automation and helping to increase your return there. We look at brands large or small. I know for you Tracy, for instance, you talk to folks who are nascent and they’re Amazon only. You have folks who are this massive brand but Amazon only. You have folks that are retailers that are coming into Amazon late. It doesn’t matter where you’re coming from, whether you’re an agency running this for clients or a large or small brand. I put a LinkedIn post about this that my grandmother always told me we put our underwear on the same way. There is no difference between being a small brand and a large brand when it comes to the metrics. Before we advertise, let’s understand the actual metrics of your business. What’s your gross profit as a company? We created that metric called TACoS, which is Total Advertising Cost of Sale. I only say this because it’s important regardless if in general calculating it. It’s how much are you spending on ads? What is it doing for your organic revenue? Number one is let’s look at business metrics. Number two is let’s understand your product level profitability, and then let’s use that data to understand how you should be advertising as well. That’s why we’re obsessed with data here. Let’s talk a little bit about product profitability because in a sense, a lot of people who are on this platform are in the development process of their product. This is a very deep understanding that needs to happen. If you’ve never done this before, this may be new to you. If you’ve done this before, you’re going to hear and you’re going to go, “That’s what I did. That’s what I should have done.” The thing happens is when we launch a product and we’re new to a factory, they don’t trust us yet. They don’t always give us their best pricing that it could be. I have an inside track. Most of the factories know me by reputation if they haven’t worked with me before. Typically, I get a little bit of an edge better for my clients. That’s what we try to do. That’s why we have a team on the ground. This happened where I have this big digital seller. They probably sell more over their own website than they do on Amazon, but they sell on Amazon as well. It’s not memory cards but it’s the ones you put in your phone, SIM cards, that thing. They’re storage devices, but they’re the mini small ones. I’m sourcing one for a new product. We’re launching a new microphone that will have one built into it so you could record straight into your microphone. You always take out your SIM card and plug it in somewhere else and/or download straight to your computer. It’s going to be easy. We benchmarked them and said, “What are you getting because you buy these things in bulk and you’re doing this? What’s your benchmark for this?” They gave us a number and I said, “That’s a lot higher than I expected it to be. This might change our cost to goods. Let me think about should we have this native to it or not?” It made me reconsider it. I get my factory price back and it is half the price they told me they’re buying. That’s the benefit of having this team because within China, when one factory is buying it and putting it in another product, totally different prices when you’re buying it yourself from the US. They are jacking it up, to be honest with you. There’s an in China benefit where a lot of Chinese sellers are doing a lot better on pricing than you are because of that. You can leverage that once you start selling. When you have throughput when you have volume. Now, you can get there because they want to do more business with you. You apply that not just in business in general, but even within advertising. When I look at launching and I did this with my brand, initially it was like, “I know that I’m going to order very low MOQs to get a few products and to test it.” I always had in the back of my mind at scale, if I’m running thousands or hundreds of thousands, what will my price point be? The goal right now isn’t to be profitable. It’s to approve product-market fit and to prove that I can sell this thing. If so, I already know. I’m already calculating my costs of goods at scale. Did you hear the language product market fit? Do we not talk about that all the time here on the show? Those are exactly our words. 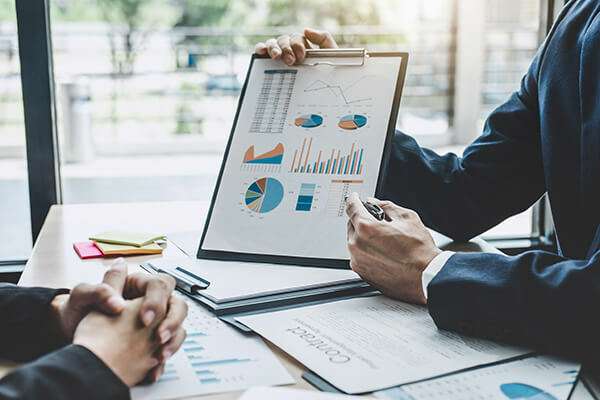 If you asked a lot of folks what their gross margin is or gross profit and how they even calculate it, they’re probably going to give you a different answer. It’s worth at least defining it as we see it. I look at gross profit on a product on Amazon and I think two things. You had two sets of costs. You have landed costs, which are ordering your widgets, adding on how you shift it and you get a per-widget price on what that is to at least get it to the FBA or Amazon Center for instance. If you’re shipping FBA, you have Amazon’s fees. Their commissions they take. Their storage and fulfillment take the keys to pick back and ship. The other one that people don’t include and it’s taken out ahead of time as well as their ad spend. If you didn’t take out all the Amazon fees and you have your gross margin and their gross profit. You need to keep your lights on and run your business and put food on the table, etc. That’s a separate thing too, but that’s the wiggle room you probably teach is like, “You need to make sure that you have enough to keep the lights on and wiggle room to run promos to scale this thing properly.” I don’t know if you see it that way if you’d add anything in it. I do and here’s where I run into some controversy the way I talk about it with direct sellers who they’re like, “Those Amazon fees are high and the advertising fees,” and they start talking about that. I look at them and I say, “What about the people that you’ve had to bring on to be able to build this? What about the warehouse that you have to fund? I don’t think that you understand how cheap this is for you to be testing this out. It sounds like a lot of money because the percentage is big and it’s a chunk going to them and not to you.” At the end of the day, I have people who are running a direct sales model and they have a 1% profitable business. Why do that? To me, that’s not worth it. I don’t know if you run into this too but we have a lot of sellers, large and small, they don’t even know. Alasdair McLean-Foreman, the CEO of our company, he loves to tell this story which he was in the first sellers on Amazon. He was like a lot of good companies. He started this from his Harvard dorm room. He was selling sunglasses. He was one of the large sellers and one of the first ones to sell on Amazon. He would walk around like, “I’m a million-dollar seller.” I know he sold his first company. They took it because they were asking like, “How much money are you taking home? What is your profit?” He goes, “Light bulb roll. I don’t know.” That’s the thing is you can be the Amazon refresh button jockeys where you’re refreshing, seeing how big your sales are. All that matter is whether you’re making money or not. That’s the way we try to look at it. We try to set you up for success in the future. Sometimes when we’re launching, we have to take a hit because we have to make sure that the product market fit is right. If it’s not, we should dump out of it and not move forward. That’s the most critical thing to do and I don’t mind breaking even. I don’t want to lose money. I don’t want my clients to lose money, but I want to break even. In that stage, test it out. I want to also know when I go in that my product can be priced successfully in the future. I plan out those percentages and I plan them out for my clients so that they can either get bought out or get on the retail shelf. The metric should be similar and that’s how I look at it because there are a lot of metrics on the shelf where there’s a lot of added cost that you have no idea about. The landing costs are higher because when they look at landing, even though they might ship from China for you, they’ll pick it up at the port. They’re going to take it from there but they’re already going to have factored in the landing costs that they have and their warehouse allocation. They’re already going to have an allocation on there and if you think there are no ad costs, you’re kidding yourself because you will have to pay a share of shelf space and all the other stuff. When somebody comes to us and this is how we’ve evolved to our full Flywheel as opposed to it just being focused on ads only is they come to us. The first question we ask about your products is, “Where are they in the lifecycle?” You have the launch phase, then you have growth phase, then you have profitability phase, then you have liquidation phase. It’s the life cycle of a product. Scaling: The whole point of advertising isn’t to increase ad revenue, it’s to increase organic revenue. When you set your advertising budget and what you’re willing to spend, you have to consider two things. What is your margin now? What phase are you in? If you’re at the launch phase, it’s realistic that you may lose money on advertising because you’re gaining market share. If you know the product market fit there, you do a big push to get as much real estate as possible. That’s how you get the Flywheel started. You get the Flywheel started and start spinning it faster. Once you know it’s worth it and the product’s doing well, it’s not launched phase anymore. Now, we’re in growth or optimizing profitability. That’s where you start dialing back two things. You refine how you advertise and then you start taking advantages. At scale, you’re getting better margins, which allow you to change your price if you want. There are many things that happen once you get to that first. Setting yourself up for an acquisition is a lot harder now. That’s what I’m all about here is let’s build ourselves great product IP. Let’s get profitable. Let’s get it ranking because when you’re ranking, you’re churning. You’re doing all of those good things that Teikametrics’ numbers and information that they’re going to give you keeps you up there on that sales wheel. It’s keeping you up in that positioning. The position is important but margin and profitability are extremely important as well. It’s going to keep giving you indicators of am I getting the best price possible? Am I at the volume I need? It’s always going to be giving you back these numbers and information that’s going to tell you whether or not you have a future acquirable brand. I talk to a lot of either brokers who buy and sell businesses. A lot of folks who have sold businesses are bought every end of it. You ask them, it’s like, “How do you value a business?” They go, “We look at a few things. Number one is their true IP there. Am I buying IP? That’s what you’re talking about here is creating good IP. Is it scalable? That’s the other thing as well. Another thing, there are copious amounts of things to look at is are you profitable?” They base evaluation based on your profitability or run rate and your return, and not your total revenue.” That’s what they look at. Most people because their profitability rate is low, they end up with a division of revenue rather than a multiplier of revenue. That sounds awful. Who wants to close out your business like that? It doesn’t seem all that effort was worth it. You hit the nail on the head. The beauty that we’re talking about here is regardless of how big or small, there’s something you can do about it. It is what it is. We can be upset about it and moan about the times and days of old or you can evolve and make it work. That’s exactly what you do in your own business too, which I respect. Let’s have a process. Let’s have a team. Let’s have tools. Let’s talk a little bit more about how you guys developed this tool. You alluded to your founder who is a Harvard grad. You have a team of science. You’ve got a lot of tech people there. Tell me a little bit about the team. You don’t have to. I’m all about the done-for-you systems. That’s the power of delegation and a team. The thing is it is hard to keep up on all the things we need to do. What’s happening on Facebook? What’s happening on Instagram? Where are we marketing and where are we doing all of these things, to begin with? It’s hard. To keep up with what’s going on in Amazon and what’s working there, that’s next to impossible to keep up and balance all of the things that you have to have your hands in as running a product business. There are a lot of balls in the air. It’s the whole difference between working in your business instead of on your business. As somebody who’s done it myself, it’s possible to do it yourself and there are folks who do it well. There are folks who outsource it to teams and people who want to do that. For us, we have such a good relationship with Amazon. We’re part of the developer council. Let us figure out what the latest and greatest is and what you should be doing about it and that’s why we’re going to keep evolving and doing what we’re doing. The proof is in the pudding. The way we price what we do too is a percentage of advertising that we’re managing for you. At the end of the day, if we’re doing a good job, you’re going to see it. If we’re not, then that’s it. It comes and goes as you please. This is what I like if your clients succeed and you guys succeed. It’s a win-win for you. It’s shared success and that’s what it comes down to. People want access to input. That’s why they come to you is like, “We want to know what’s going on. We need to be able to build trust.” We call it human assistant task. There’s a component which is automation and doing it for you, but there’s a human element. You can never replace a lot of the intuition that comes from you and things like that. You have to blend it together. Let’s talk about that because there’s a lot of fear around AI and Big Data and all of this stuff. The thing is that I am afraid that the US is a little behind. I see a lot of AI stuff going around in the world that I’m impressed by and we’re still having the debate about it. There are human controls here. That’s what you guys have going on. Its human inputs, which is the most critical part and it is the part that I criticize a lot in my column because there are a lot of companies that don’t have the right diversity in terms of information on informing the AI. We’re the opposite of what comes off of Amazon because in retail we have a large portion. About 86% of what we do at mass-market retail is bought or influenced by women. When we don’t have women on our team or we don’t have women’s information in the data, we’re getting false results. We’re not going to get good results. The sales itself though is indicative of the data. It’s the right demographic already. You’re getting the input you need. When we’re basing our decisions on pulling that and not on our gut reaction to that, we’re going to be doing better. As a woman, we don’t know what they think. We can see the pattern of what they do and if our machine is interpreting that and then we’re not going counter to that, we’re not avoiding to mess it up. The beauty here is Amazon does a good job to a certain extent of giving data. What they’re bad at admittedly and say this themselves is making it easily digestible. They’re in different places. When we look at it, there are two main sources of data that comes from Amazon. You have the advertising API and you have MWS API, which includes sales history, conversion, all these works on everything that you sell, inventory, etc. MWS is the Marketplace Web Services. That will allow you to have access to all the products you have a listing or the parent-child SKUs. The inventory you’re listing, the impressions, the clicks, all of your historic sales data is there. 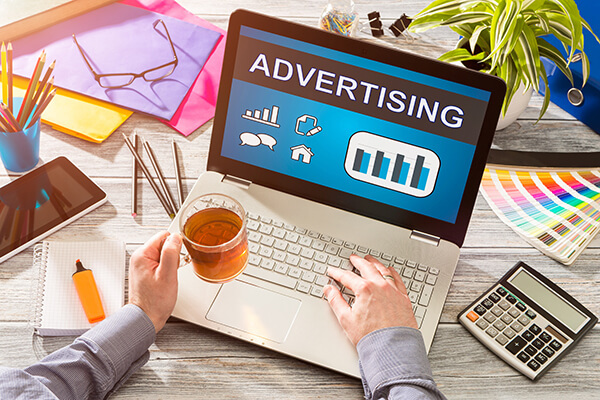 You have the advertising API, which pulls in anything related to advertising like your campaigns, your keywords, your sales, your impressions, etc. The thing is those systems normally talk to each other. What a lot of people don’t realize is that if you want to affect how you advertise, you can’t do so without the context of understanding. If you adjust the price on your actual organic listed item or your conversion changes that it should impact how you advertise. What we do is we pull in both data sets. We pull in both ends as cross-references like ten to fourteen reports and then we go, “Advertising if you change or adjust your price, think about it.” If your cost of goods is the same, you adjust your price for margin changes. That means if it goes up, you can afford more per click or if it goes down, those pay-for-clicks you can’t afford. You need to understand how that impacts it and a tool like ours does it for you. I’m not trying to make this about us as well. It’s more about the data and if you were doing this on your own, you can do it but you need to be making hundreds of thousands of keyword changes. If you have hundreds of products, it’s ridiculous. You won’t have time to do anything else. You’re talking to a designer here who has a spreadsheet mind, which is rare. I have a data mind and I love data but it’s impossible for me to make the number of decisions that I need to make on the cost of goods and can we lower the price and can we get where we need to be in? Is this more profitable without pulling all that data together? Thinking about that, you’ve got fourteen to fifteen different reports that you would have to run. It would mire me down in being able to make decisions, at least when I work with Walmart or something like that. I am going to get one report and I’m going to be able to see most of what I need, but that’s not coming from Amazon that way. You are flying blind. Whenever we talk about presenting what Flywheel is, we literally show a picture of a guy holding the steering wheel with a blindfold on. The sellers are flying blind. Most people are and they’re also flying blind because they aren’t experienced pilots. They also don’t even know what instruments they should be looking at, even if they had the blindfold off. That’s what you’re pointing out through this. If you’ve got fourteen, fifteen different instruments, different spreadsheets, different reports that you can run but you don’t know which ones affect each other and which ones to do. How are you going? You’re going to spend all your time educating yourself in that and not being a core product expert, a brand expert, serving your customers, and coming up with what’s next. That’s the visionaries that we serve here at Product Launch Hazzards. They care about their products. They care about the brand they’re growing. You’ve got to stay in that element and stay out of the things that you can’t fix yourself. That’s where we call the right things in the right order with the right resources are what we’re all about here, to try to bring that together for you. Scaling: Position is important, but margin and profitability is extremely important as well. It’s do what you’re good at. Know what you’re good at and make sure you focus on that. You hire a team around you, whether it is people or tools or a combination of both to get the job done. The other thing I would love to see come out of the data is as you start to see this, you’re going to start to understand what new products you should be developing, but also what you should be getting rid of. People don’t make a decision to get out of a product soon enough. Their profitability starts to decline. There’s more competition. You can’t improve your advertising and get that organic sale going anymore. You’re at a plateau. I know it’s always contextual, but what are some indicators that show you? Is that it, the declining revenue? It’s seeing what happens and understanding why it’s happening. Is everything declining because of the entrance in the market? Usually, it’s a competitive flood that I see that happens most often in it. What happens is that when you don’t have something extremely original. True IP that matters to the market, you’ve got the feature that no one else can have and that sets you apart. It’s the reason people are buying in your category and buying from you. You must know that. When people are coming in with what are knockoffs, cheaper prices and all of those things but they’re not hitting that feature. I don’t worry as much as long as you haven’t seen a decline in your sales because of it. That means you have to work a little harder at it. That’s the first indicator for me in a marketplace is you’ve got a lot of competition and your features not standing out enough. I either paint that up. It’s time to do something original for you or move on. I know you typically stop at first run. You get to the first one you stop. We always talk about the power of monitoring your reviews and your competitor’s reviews to do one of two things. Either optimize your listing because they are misusing your product or they’re misrepresented and somehow you can alter that. Two, you find product features that you should be altering. Do you see that quite a bit? I personally have two programs that I do. There’s a brand strategy program that I do for someone who has a bigger, more cohesive brand. It’s different when somebody launches a product. I’m going to hold hands all the way through the first round of the product because I want to make sure nothing goes wrong. I also want to identify the cost reductions that could go from that point forward for them so that they can keep getting their cost down and keep getting the efficiency and volume as the volume goes up. We identify that and we put a team in. I don’t personally follow it from that point forward. On the brand strategy side, those that have data make it a lot easier. For those that have data, they think that they’ll go, “Here I’m going to draw the line and everything below this I’m going to get rid of.” It’s the biggest mistake that I see being made because some products help you sell other products. It’s a comparison situation and it also is a companion situation. Sometimes you have what we call loss leaders. They’re making no money if you drew that line, but they’re the reason people are coming into your brand and checking you out, and then they’re buying something better and more expensive. That is what’s driving your business to profitability. If you take out your loss leader, all of a sudden you lose the leading edge. A very basic example of it would be I worked with this brand. They sell the argon that keeps your wine fresh. They don’t do this, but that’s an example you could lose on selling on the court because you’re going to get renewing purchases of the argon, for instance. This is where you have to look at a brand as a whole but not having enough data about the profitability of the brand. That’s where it matters more. Is this being profitable? Where are volume and sales driving? Where are products being sold together? When we take a look at a program and take a look at a brand as a whole, we look at that synergy between all the products. We look at the ones that need to definitely be cut because either they’re draining you, they’re costing you money. We try to cut those. We look at the ones that they might be on the edge of costing you money but maybe if we got you a new source or we cleaned them up and made them fresh in terms of style. We’d give them a new color or material or something like that. Now, they’ll be refreshed and people will be more excited that it’s new again. We do that. We call that cut clean and then create. You have to create some original pieces because if your goal is to sell your brand, you only have to have every single product in your line be an original. You’ve got to have some good core IP that’s driving people to your brand. You have too much and you’re spending money for no return, even if you’re breaking even, you’re losing your time and probably sleep. To me, if that’s your approach, nobody cares that you have all these products. They don’t care that you have 800 in your store. You might as well get rid of them and keep the ones that are on the growth and the ones that are profitable. Use the data to your advantage in that standpoint because it doesn’t make sense. Figure out you bringing a bunch of new ones and then you decided which ones out of those you’re going to call and move them up into the core program. Be on a constant turn like that. When you’re intentional about your brand, that’s what we do. When you’re intentional in creating for a brand, it’s a little bit different because you’re making something that you know the market need is there and you’re going to test out am I right about that need? One of the things that we do on the product level section of what we do is we look at what’s all the revenue you’re making on these products? What’s your margin on these products? You can quickly see, “You’re driving a lot of revenue, but it’s not a profitable product.” Immediately don’t advertise that product, number one. Number two, you find these hidden gems like, “You’ll keep a great profit margin here, but you’re not generating sales. Why aren’t you pushing this product? This is a much better one. This could be the genesis of a brand because it has good margins and it’s something that’s unique and folks like.” I bet that’s probably the most fun part of your job is to get in there and you recognize these a-ha moments. Let’s build a profitable business and brand for yourself so you can go on and do something else with that money. Do something else with that, whether it’s something you want to do personally or get yourself acquired. Whatever that might be, you should be making life better and you’re improving lives by having great products out there. That’s also a goal for me is to make sure that you’re putting in good products and great quality products. Sales volume is usually a good indicator of that. People don’t keep buying if something’s not good. It’s a lot of fun at the end of the day when you get it right. It’s all about helping people. That’s the biggest thing is are we helping these folks scale? Amazon in and of itself is a relatively high churn business because you have a lot of sellers come on that don’t make it. A churn is a big metric for us. When we have such a low rate that shows us like, “It’s a competitive industry. We’re helping these sellers be successful and grow and scale.” When we come down here a few years from now when we look back at how many folks are still with us because it means they’ve been successful. That’s one last thing that I want to touch on. A lot of companies, especially the big data companies that are working on things and others, are headed into working with the big brands that are emerging on the market because there are dollars there. It can charge them a bunch of money. I interviewed the CEO of Indiegogo and they’re doing that. They’re working with Bose and GE and doing campaigns with them. I was looking at that going, “That’s way more profitable for them. That’s why they’re going into that and they turned a profit.” I started thinking about that. Is it going to start harming the smaller campaigns? I asked him that question and he was straightforward about it. He said that they put in metrics and they put in things so that it can’t balance out. At the end of the day, if GE’s product isn’t any good, it won’t outrank someone who has done everything in the grassroots and didn’t spend the dollars. You guys have built your system so that it doesn’t matter how big your brand is to do it. We work with large brands as well but we gave every brand, large or small, the opportunity to be on the same level. The beauty here is with Amazon becoming more sophisticated in how they advertise, in pulling in we agree with everybody else. We’re also competing against your own self too. It’s like, “Let’s look at your own metrics and figure out what looks good for you because your methodology and your targets are going to be different than somebody else’s.” The challenge is money does reign supreme and big budgets can come but it’s different. In the old days, you can go and buy up every newspaper and buy up every ad space. Now, we have brands that are competing with Folgers Coffee and they’re a small brand because they’ve done it the right way and they’ve created a cult following there. We’re helping those brands win. You have some of them, but if you look at the meat and potatoes of what makes up our company, it is these mid-market SME sellers who do have good brands. 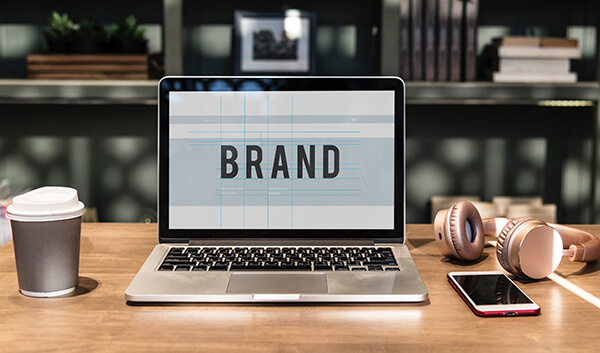 Typically, folks with brands are more likely to advertise because you own your own real estate. We’re giving every company large or small the chance to be successful. Early on in Amazon, the big brands were at a disadvantage because their organizations couldn’t get with it to figure out. They treated it as small time. Scaling: When you’re intentional about your brand, you’re making something that you know the market needs. They treated that as a wholesale channel. They dumped the product there. I can tell you the reason I was on Amazon so early because it was the products that they didn’t want on the shelf anymore. They thought it was a liquidation channel and it’s absolutely not. I was like, “My products are on Amazon,” and it was 2006, 2007. They were already running through there in their early test days. It was close out stuff from big brands. Now, they’re starting to look at it as a sales channel and as important as a place to be. As they do that though, you still have the advantage here as a small to a midsize brand. Their data, the way that they analyze things, their numbers don’t mesh with what works now on Amazon. They’re not as nimble. If you grew up in Amazon as a company and that’s what you lived and breathed and that’s been predominantly your biggest channel, which a lot of these growing brands are. You are in the driver’s seat because you understand things that these folks are going to try and catch up with as well. The other thing too is you living your business every day. You’re going to get into the weeds and work at times that others won’t and understand things at a deeper level than a lot of other employees working at a company would do. That’s the way I look at it. I thank you guys for leveling the playing field as much as you can on the data side because it gets overwhelming, especially for the creatives who are making great products, adding inventions into the world and bringing them out. Yet we don’t always have that capability of being able to crunch those numbers and have visibility. That’s what we’re here for is like, “We have extremely powerful data packed in a very easy to use tool that anybody could rock and be successful with.” We’re giving anybody on Product Launch Hazzards a free trial for 30 days as well. I wanted to make sure you know that. We like those a-ha moments. We like to see what these folks are selling too. Thank you so much for coming on, Jason. Thank you. I appreciate it. This has been awesome. I can’t wait to chat with you again. Until next time, thanks so much for joining us. 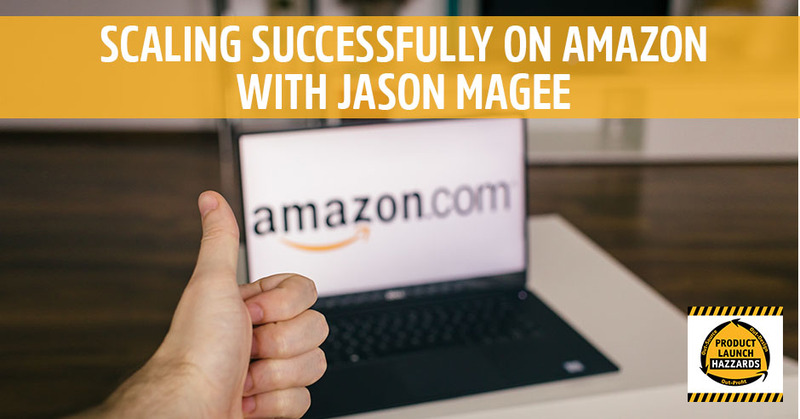 Obsessed with helping sellers and brands scale successfully on Amazon, Jason works tirelessly to curate an ecosystem of best-in-class partners dedicated to their success. When not helping these companies conquer Amazon, most of his free time is spent chasing his young son around (AKA the Tiny Dictator). About Teikametrics Flywheel: Teikametrics Flywheel is a Retail Optimization Platform (ROP) that uses Big Data to help sellers and brands automate and optimize advertising on Amazon. Flywheel provides visibility into key metrics coupled with powerful machine learning and data science technology which takes action to help brands scale – all in a seamless, intuitive interface. Teikametrics helps thousands of sellers through their Flywheel Retail Optimization Platform (ROP) by combining sales, inventory, product, and advertising data to maximize profitability. Sellers who use their technology have seen an average growth in revenue of 34% within their first 60 days of using their solution.